Ah, that new phone smell! Can you smell it? You will soon if you ordered the Google Nexus 4 from the Google Play Store on Tuesday. According to those who bought the device, emails are being sent out with confirmation numbers and tracking information from UPS suggesting that the latest stock Android handset is en route to your doorstep. Unfortunately, there is no estimated delivery date with the confirmation. Even without knowing the exact date of the handset's arrival, if you have ordered the Google Nexus 4, not only are you probably excited by the device itself, but you are also anxiously awaiting the opportunity to check out Android 4.2. If you're a Google Voice user, you might have been a little worried to hear about the bug that afflicted Android 4.2 users. The good news is that the bug was killed dead as we told you on Wednesday, so that is no longer a problem. We've already shown you the new features on Android 4.2, like lock screen widgets, Google's Swype-esque virtual QWERTY, expandable notifications and more. We know you're going to rush home every day waiting for the package on the doorstep that will bring you so much pleasure. Hopefully, your new phone will arrive on the same day. Did you get the nexus 4 16gig? Same here. My hope is my memory is deceiving me into thinking they did the same with the GNex, but shipped it much earlier regardless of the email. I could have swore they sent the back order email just to cover the bases should there be an unforeseen delay in the process. I think the same but how long did it take to ship for those? It was less than a week if I remember right. I just saw that my email says I'll be getting the shipping charges credited too. They are going to have a lot of pissed off people over this though. I'm upset, and think I should get more than just $14 back, but what can you do? I'm not canceling. I'm just glad I didn't sell my Galaxy Nexus. I had it up for sale and had some decent offers. I'm glad I didn't bite or I'd be stuck with an old beat up G2X lol! Just install it manually? If your rooted, there's a stock 4.2 rooted zip on xda. If not just download the files from Google and fastboot flash them. You'll have to unlock the bootloader to do so, but it's very easy. I just got this email too. I'm sooo pissed because I got all the way through the ordering process when it first opened and then it froze on me during processing my order. I sat there and refreshed for 2 more hours before finally being able to complete my order. Grrr!!! Google is terrible about device launches. I had the same thing happen when I ordered a Nexus 7 on Google IO day. Phone Arena please make this one of your stories!!! I ordered my nexus4 a few minutes after it was available in the google play store. Everything was swell and dandy as i got my comfirmation email receipt and my money was pulled out of my account. I thought my device was being shipped today as well but a few minutes ago i got an email from google stating the following: "Thank you for your recent purchase on Google Play. Due to overwhelming demand, your Nexus 4 is on backorder and is expected to ship within three weeks. We’ll send you a notification when your order has shipped and will credit the shipping charges." At this point i am very upset. Google should have known when their devices wereout of stock or at least told me this sooner. I love google and their products and i will get the nexus 4 regardless but this is not acceptable behavior coming from google. at what time did you roder yours? Story is being worked on as we speak Alan F.
please dont. honestly, its exactly what SHOULD be happening. What's worse, having to wait for it to come back in stock again and going through the same mad dash to get part of the next order... and the next order... or being put on a waiting list that gets autoshipped the moment it goes in stock. quit being a crybaby and realize how much BETTER it is that they took your order and saved you one of the next shipments instead of forcing you to replay 11/13 over and over again until you got one. #first world problems.... geesh. 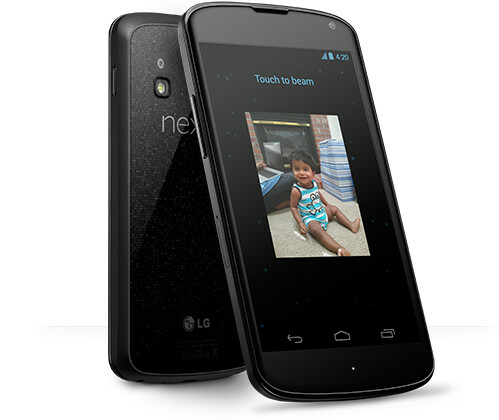 There's a mistake above the picture: not Google nexus 4...Lg Nexus 4! Well, no, not really. LG manufactures the hardware, but Google brands it as their own. Then what about the Samsung Galaxy Nexus. No one ever calls that the Google Galaxy Nexus. But it technically is named the Google Galaxy Nexus. Just because people call it something else doesn't change its official name. Just because people always say "Luke, I am your father" doesn't mean that's the actual line. Love Google, but they should have stopped taking orders the minute they ran out of in hand stock. Well I ordered a Nexus 10 and I received a shipping confirmation email from Google giving me a tracking# on UPS. 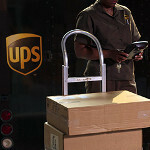 The device is shipping from KY and its says UPS 2nd Day Air next to it. I'm hoping it arrives tomorrow. I'm sorry to hear about everyone else's misfortune with the Nexus 4. To everyone who ordered the Nexus 4 or Nexus 10 how many of you recieved a shipping confirmation email? I looked on XDA Forum's and there aren't many people who did. What a waste of $299 and $349 @ 8GB and 16GB without SD storage. Why people...why? Get a phone from eBay without a contract. You can find many phones for the same price. LOL!!! arrival scan.. woot. its in Jax and ready to be shipped out in the morning. I want it noooooooooooooooooooooow!